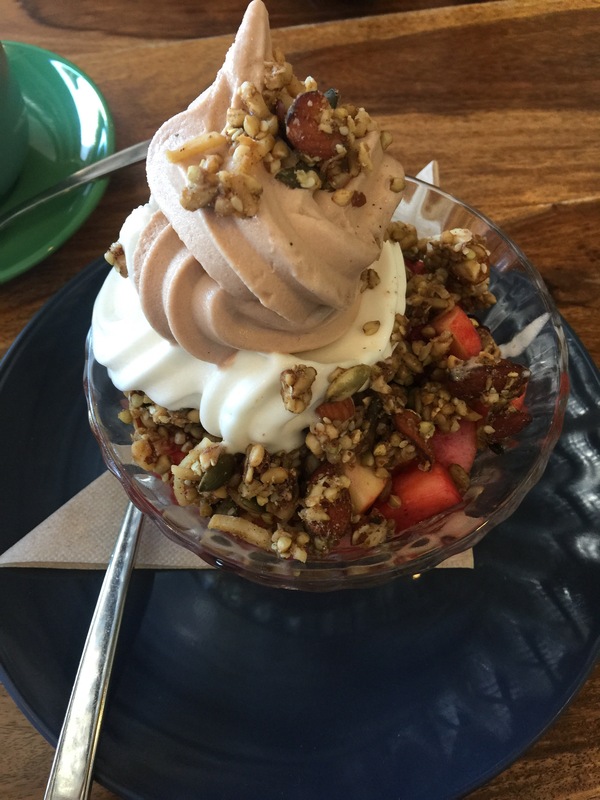 In the increasingly popular Maylands area, home to gems like Mrs S and Sherbet is a new cafe that’s sure to be a hit with the health conscious crowd. The Little Shop of Plenty sits on the other side of the train line, conspicuous for its big outdoor eating area, and large pots growing fresh veggies. 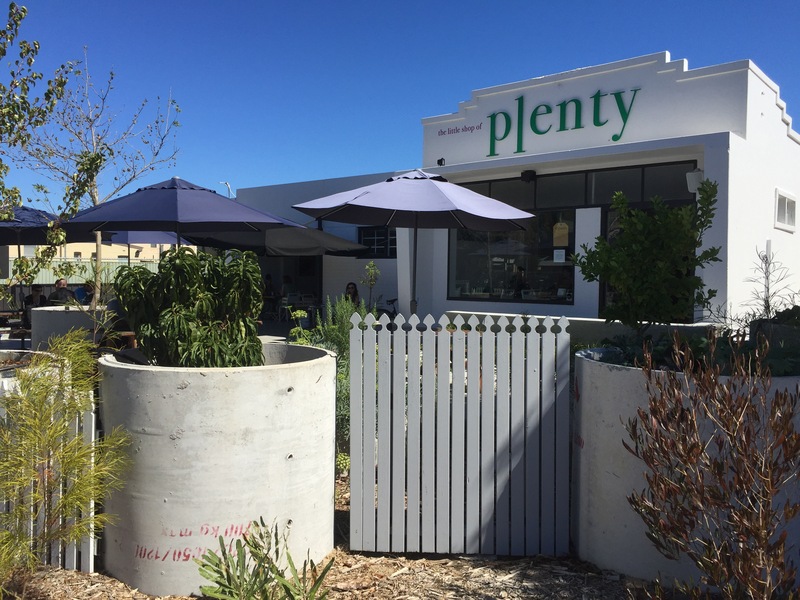 The Little Shop of Plenty is a healthy eating haven, offering raw, gluten-free and paleo meals, as well as vegan and vegetarian dishes. 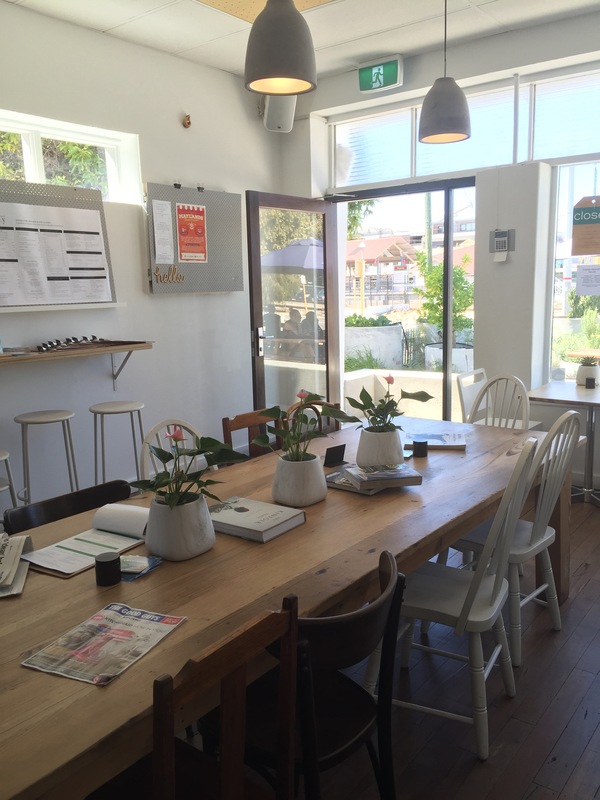 The cafe is open and light filled, flowing seamlessly from outside to inside spaces. 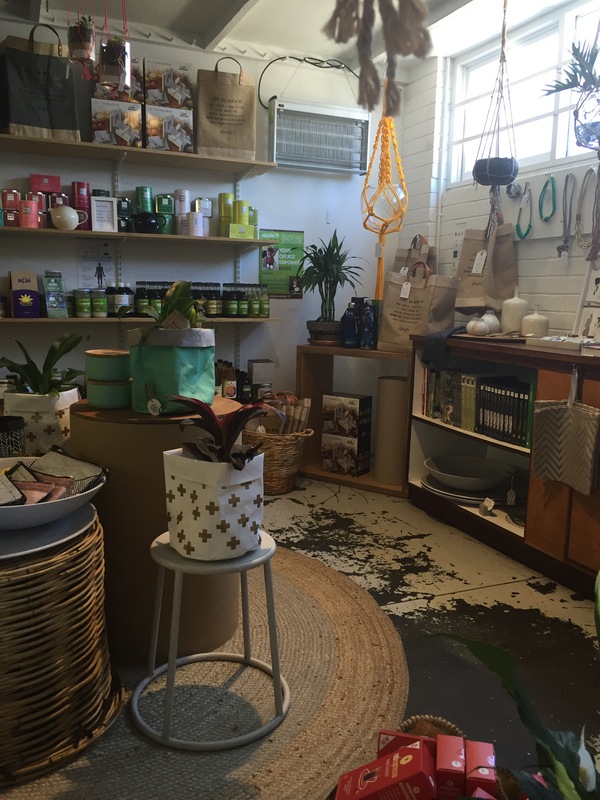 Little Shop of Plenty even have their own homewares and gift store in the middle of the cafe. Be sure to take a look before making your way up to the counter to order and pay. We started our meal with a coffee. It had a nice flavour, lightly sweet and creamy. Unfortunately it was very weak and really needed more strength and richness. We also ordered a berry smoothie. This is where Little Shop of Plenty really shines! It was delicious, balanced between sweet and tart and a great consistency – not too thick or thin. 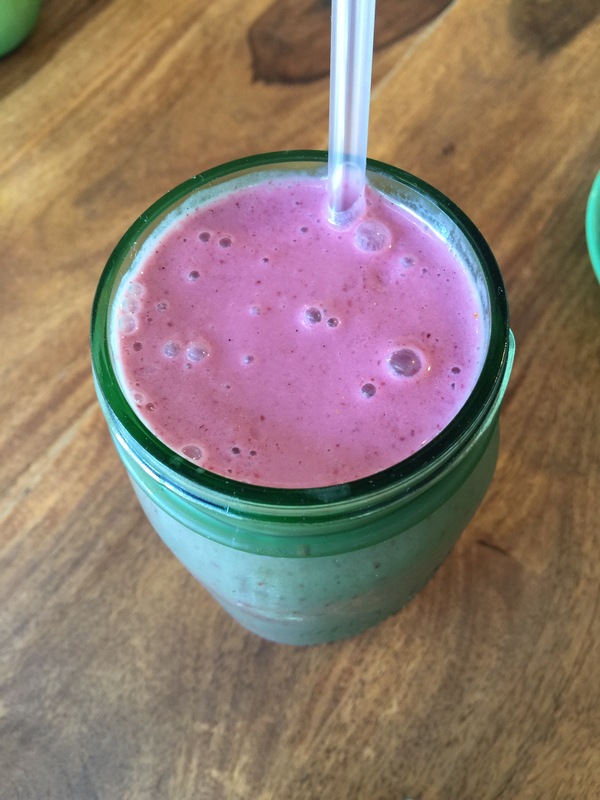 It’s clear this is a cafe that knows how to smoothie. 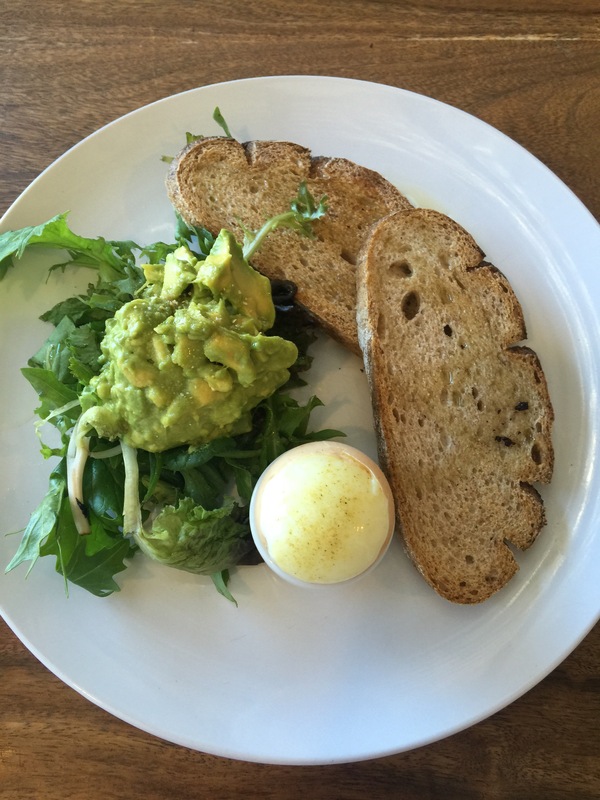 Our first dish was avocado and a slow cooked egg on toast. It was a very small serving for the price you pay. Sure they offer unusual breads (gluten free, paleo options) but almost $20 for a small amount of avocado, two pieces of toast and an egg is unusual in our eating out experience. Surprisingly the slow cooked egg was a little overdone but the avocado and lime was delicious. It was fresh and the flavours were well balanced, we were just really hoping for more! 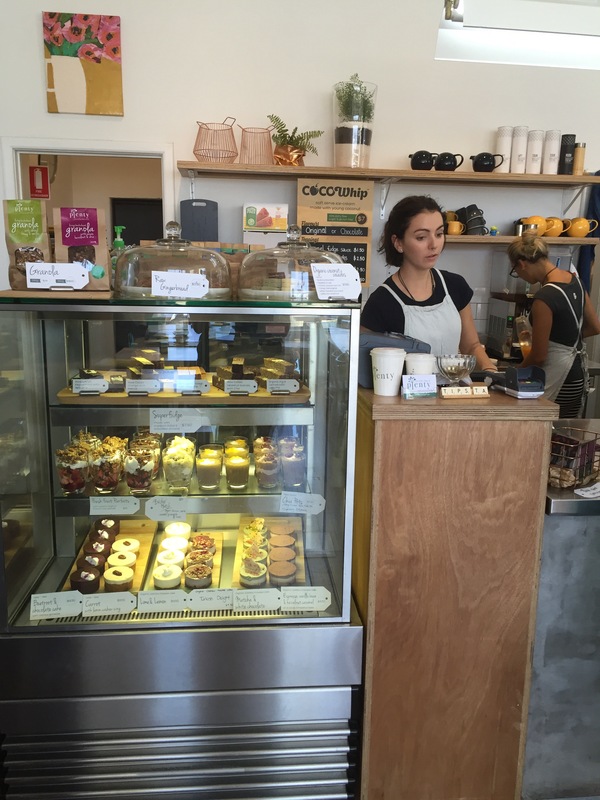 Little Shop of Plenty serve up fantastic smoothies and healthy, light and fresh dishes with specific dietary needs in mind. 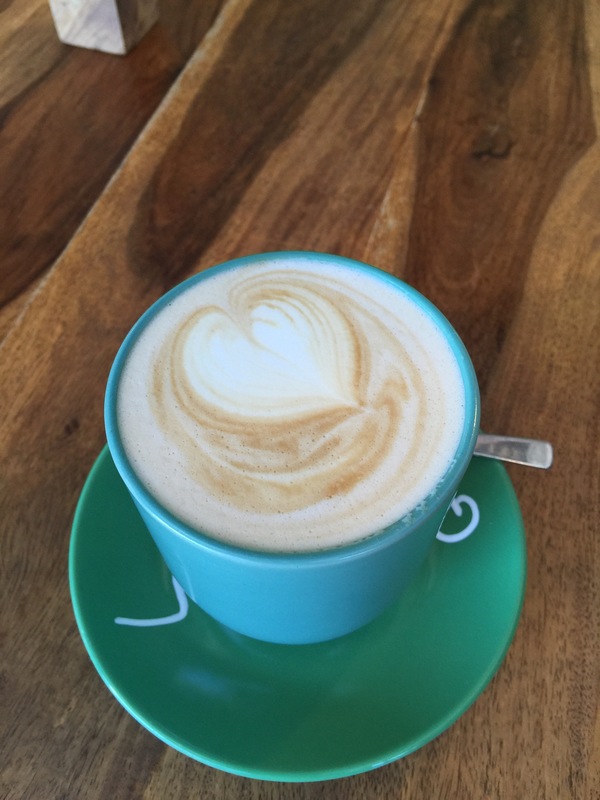 They’re a must visit in Maylands for gluten free, vegetarian, vegan and paleo foodies.